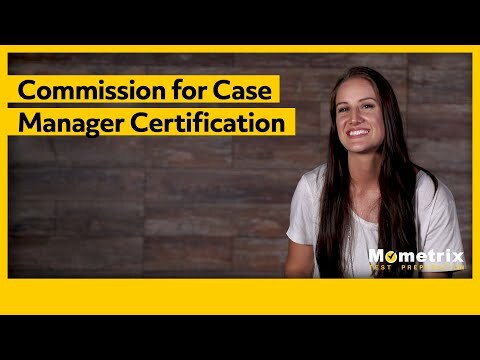 If you want to be a certified case manager, you must pass the CCM Exam. The CCM practice test will show if you are ready for the Exam. You will answer 180 multiple-choice questions in six domains. The free CCM practice test covers the same area, giving you questions in psychosocial aspects, healthcare reimbursement, rehabilitation, healthcare management and delivery, principles of practice, and case management concepts. Your scores in each section will identify where you need to spend study time. What is the CCM certification? The CCM is an exam that certifies Case Managers, giving them the credentials to show that they have the knowledge, expertise, and professional experience to provide services to patients. To take the CCM exam, you will be required to pay a total of $345 to apply and sit for the exam. This fee includes a nonrefundable $160 application fee and an examination fee of $185. To become a certified case manager, you are required to first have a RN degree as well as pass the NCLEX exam to begin practicing as a registered nurse. After becoming an RN, you can choose to go on to obtain your Masters degree in Nursing within a particular nursing specialty. After obtaining your degree, you will receive on-the-job training that can help you to prepare for becoming a certified case manager. When you are ready, you can sit for the CMM exam. The CCM exam consists of 180 multiple-choice questions. The CCM exam takes three hours to complete. To sign up for the CCM exam, you will need to visit https://ccmcertification.org/get-certified/certification during the exam application window. The average pass rate for the CCM exam ranges between 80% and 85%. 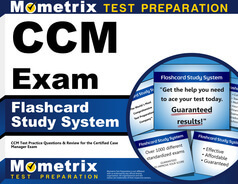 A passing score for the CCM exam requires 70% or higher. This includes a score of 50% or higher on each section of the exam. Case management is serious work. While this is common knowledge, you know this especially if you’ve studied to become a case manager within the United States. So many people will depend on you, from the patients under your care to their families to the medical staff also in charge of getting patients the help they need. Many lives will be under your jurisdiction, all of them affected by severe medical conditions in one way or another. As an aspiring certified case manager, you will need to know exactly how to handle the job in as efficient a manner as possible. This is where case management education comes in. The purpose of educational programs within the case management field serves to ensure today’s burgeoning case management workers possess all the essential knowledge and are capable of making the best possible decisions for their patients. To be a case manager in the United States, you need not just the highest amount of knowledge, but certification to prove you are capable of handling the job. To obtain this certification, every potential case manager must take the CCM exam prior to beginning their work. CCM certification exists as something of a milestone within the case management field. It reigns as the first and only standardized test meant to assess whether case management students are qualified to receive their certification. It is vital that you complete and pass this exam for several reasons, professional qualifications notwithstanding. Much of the employers you’ll come across will expect you to have board certification in order to work. Evidence suggests over 40 percent of today’s case management employers need their employees to possess board certification upon submitting their application. A growing majority of case managers are already certified. Furthermore, being certified affects you positively; up to 30 percent of case management companies in today’s world offer higher salaries to case managers who have already obtained their board certification. Beyond these incentives, getting your Case Management certification outfits you with important information, from both practical and ethical standpoints. Remember: you’re in charge of improving the care and quality of life for long-term medical patients. You have to know how to help them properly, how to campaign for them to make sure their needs are met and their care is consistent and of high quality. The CCM certification exam was originally created by the CCMC, or Commission for Case Management Certification, as a means of measuring the readiness of potential case managers for the work ahead of them. As of now, the CCM certification exam is the only means case managers have of becoming board certified. One good factor about the CCM exam is that it remains consistent from year to year. While the questions may shift around from year to year, the information you will be expected to know will always remain the same. Here at Mometrix Test Preparation, we are committed to giving you every possible tool to succeed. You can use this CCM study guide and CCM exam flashcards as well as our CCM practice test, featured elsewhere on our site, to prepare for this important exam. With the help of our resources and enough time, you can formulate a study plan to help yourself do well. Keep reading this overview to learn more about the CCM exam and the best ways to approach it—both before and throughout exam day. While a considerable component of one’s readiness for the exam is a personal matter, there is also a list of criteria you must meet before you can qualify to register for the CCM exam and earn your official certification. To begin with, you have to follow the ethical code of behavior detailed by the official CCMC conduct guide; have some form of relevant career experience as also detailed by the CCMC; and already be qualified enough to obtain your license. What it takes to be able to get your license in the first place is a separate matter. First, you must be able to carry out your case management duties fully and self-sufficiently. This means you no longer need to be watched by senior professionals and are fully capable of performing the tasks required of a CCM on your own. Second, you must be fully licensed in your specific field—both in terms of education and your ability to work as a CCM with no assistance or monitoring from fellow professionals. If you meet the above criteria, you are fully qualified to apply for and take the CCM. What Is Featured on the CCM Exam? Like many other tests of its kind, the CCM exam is multiple choice in format, spanning 180 questions. The entire exam will take three hours, and is taken via computer. Because the exam is written specially by the CCMC, every question featured will pertain strongly to the case management field. This means you won’t encounter the same core subjects you’ve studied and tackled on other exams, such as Reading and Mathematics. Rather, you will be expected to demonstrate your knowledge about subjects specific to your field, including Healthcare Management and Delivery, Psychosocial Aspects, Principles of Practice, Healthcare Reimbursement, Case Management Concepts, and Rehabilitation. In some ways, the core subjects you’ve been tested on before will come into play with these six subjects we’ve listed, but not to the point that they’ll dominate the exam and impact your studying. The exam circulates several times every year, and can be taken specifically during the months of December, April, and August. 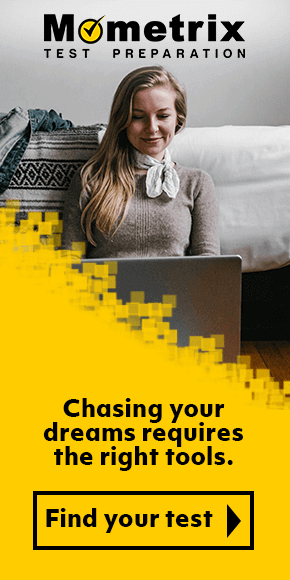 With this in mind, you should be able to adequately prepare for the exam if you set a testing date for yourself that will give you plenty of study time. The CCMC itself suggests that case managers should begin studying for the CCM by going over each of the six subjects featured on the test and placing the majority of their initial focus on any subjects they don’t feel confident about. If there are any subjects you do not encounter often in your work, or do not know much about, these are the same subjects you should brush up on first and foremost. This will help you immensely with your studies. Additionally, you should be sure to go over the general vernacular of case management, as they will show up on the exam in some form. To help you know what to expect, this CCM study guide will now go over each of the six exam subjects. You can use the information below to approach our CCM practice test as you study, as well as know what to expect on the actual CCM exam. This category is a frequently appearing one, averaging at 30 questions total and taking up around 20 percent of the full exam. The Healthcare Management and Delivery section centers around how CCMs oversee a patient’s care and the different forms quality healthcare can take. You’ll be tested on such topics as what an interdisciplinary care team is and how it factors into patient care; the various types of care facilities patients and their families can choose from; how to administer and oversee chronic care; and how to help patients better cope with their disability or illness on a daily basis, among others. The Psychosocial Aspects portion is another one of the more prevalent parts of the CCM, totaling 30 questions and making up 20 percent of the test Much of what you’ll find in questions under this knowledge category pertain to Certified Case Management from a sociological and psychological standpoint. In other words, this part of the exam relates to understanding your patients, their families, and the surrounding community of the hospital or private practice you work in. More specifically, questions under this category will ask you about a myriad of topics, including the various dynamics you could encounter with families you’ll work with; signs of patient mistreatment and how to handle such situations; how to approach scenarios involving the potential or impending demise of a patient; how different cultures approach health care concerns and how to maintain sensitivity toward these differences; situations where a patient may receive or be in the process of coping with multiple diagnoses at once; and how to help patients adapt to life-changing diagnoses, such as disabilities and lifelong, chronic conditions. Questions under the Principles of Practice category show up at a rate of 15 percent, and make up 23 out of the CCM exam’s 180 questions. This particular section covers the basics of working as a CCM, and details the guidelines you must follow as part of the job. To prepare for any and all Principles of Practice questions, you may want to first refer to your official CCM reference materials and CCM study guide on the rules and behaviors case managers are expected to conform to. This includes patient confidentiality agreements; the rubric of conditions you must meet to obtain your initial accreditation; information about the various committees in charge of overseeing your accreditation; the assortment of ethical responsibilities you must keep track of and follow while on the job, and et cetera. With a total of 23 questions falling under this category, the Healthcare Reimbursement portion of the exam makes up 15 percent of its contents. It covers the financial aspects of case management, as well as your knowledge of the various options the patients under your care can pay for their medical expenses and the resources you can offer to ensure they’re able to keep their care affordable. Topics covered under the Healthcare Reimbursement category include how to help patients who either lack insurance entirely or whose insurance does not cover the specific type of treatment they need; various topics related to financing hospital care; the myriad of programs patients can utilize to help pay for their care; health insurance as a concept and how it works with respect to a patient’s coverage; how reimbursement works with respect to the patient-hospital relationship; and more. To be adequately prepared for this section, you will have to be knowledgeable about every financial program available to those seeking medical care and how these programs work. You will be expected to know the differences between medical financial aid programs, so be sure to brush up on what programs cover which treatments and where they may lapse. Case Management Concepts consistently remains as the largest category to be featured on the exam, with a total of 37 questions devoted to it. This means it makes up a whole 25 percent of the entire exam. This knowledge category approaches CCM work from a technical perspective, and takes into account such subjects as what skills and procedures are necessary to carry out case management; what the very purpose of this important career path is; how to gauge how much work a specific case may bring; and how to communicate effectively with both your care colleagues and those under your care. Rehabilitation reigns as the smallest category you’ll find on both the CCM exam and CCM practice test. At 7 questions total, it makes up only 5 percent of the full exam. Despite its size, it’s just as important as any other knowledge category. It covers the assorted elements of admitting and helping a patient through rehabilitation with a disability, as well as how their condition can impact their livelihood. You will be expected to demonstrate your knowledge on not only how to help patients adapt to life with their condition with respect to their work, but about the various rights owed to them by their place of work to adjust to their needs. You should also brush up on different methods of rehabilitation and how to examine the abilities and needs of a patient with disabilities. How Is the CCM Exam Scored? Because of the exam’s digitized format, there’s a bit of convenience when it comes to the scoring process. Once you complete the exam at your designated testing site, you’ll be given prompt indication of whether you have failed or passed and thus earned your full certification. We recommend taking this notification with the slightest grain of salt. While this indicator has a very high accuracy rate—99 percent, to be exact—there is still a margin of error. The grading process for CCM certification is extremely intricate. You could potentially be thought to have scored one way and actually performed oppositely. If you’ve done well on the exam, congratulations! You’ve officially gained full certification and can now practice. You will officially be recognized as a CCM and can suffix this title professionally. You can expect to receive your new certificate in the mail. If you have failed the exam, we’d first like to assure you to not feel too discouraged. Generally CCM test takers will know they have failed the exam by way of email, which will contain a full profile displaying their scores on the exam and how they did on each specific section. The CCM exam permits retakes, but only in accordance to the regular schedule already set for the exam. Retakes are not free, and come with a limited window. If you cannot retest within the allotted time frame, you will have to file another application and re-apply as if you were taking the test for the very first time. No matter how well you do on the exam, you can always locate your score on the official website for CCM certification. When you first registered to take the exam, your application was stored on the website and will further contain more information about your score. How Can I Prepare for My CCM Certification? Please keep in mind that practice makes perfect with respect to CCM certification. You’ll want to be exposed to its materials as often as possible in order to familiarize yourself with the exam and have a better idea of how to approach the various questions being asked of you. Whether this is your first time taking the CCM exam or a retest, you have ample resources at your disposal to ensure you end up earning a passing grade! 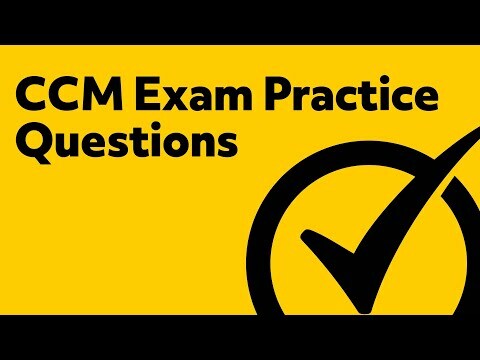 On our site specifically you’ll find a host of tools to help you study for your CCM certification, such as a CCM practice test filled with examples of questions you could encounter on the full exam. We make it our goal to give you every possible tool you’ll need in order to excel on this exam. Study hard with our CCM certification study guide, and you’ll be that much closer to obtaining the last credential you’ll need to be a fully certified CCM! Mometrix Academy is a completely free case manager certification resource provided by Mometrix Test Preparation. 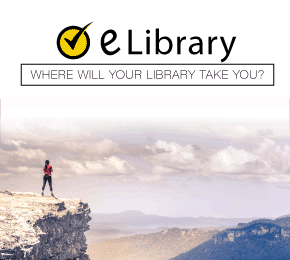 If you find benefit from our efforts here, check out our premium quality CCM study guide to take your studying to the next level. 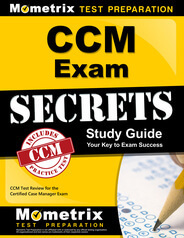 Just click the CCM exam secrets link below. Your purchase also helps us make even more great, free content for test-takers. Our customers love the tutorial videos from Mometrix Academy that we have incorporated into our CCM test study guide. The CCM study guide reviews below are examples of customer experiences. Highly recommend! I took this exam 2 times using a different study guide and failed both times so I figured it was time for a change in study guides. I bought this study guide after reading the great reviews I thought I would use it for my 3rd time testing. If you are looking for a study guide that will not only provide you with concise need to know information this is it! This book not only prepared me to achieve a passing score it also boosted my confidence to pass the test. I also purchased the CCM Practice Questions/Practice Tests and highly recommend both of these. I decided to purchase the CCM Exam Secrets Study Guide for my December Exam. I do not like to read and am very pleased with how in depth the study material in the book is but is very short. It explains vocabulary, the case management concepts as well as other things that are on the exam in very little words. I look forward to passing the CCM in December. Great study tool. The book is not very thick which I first thought would be a bad thing, but iT had all of the information needed to pass. I read the book in its entirety, answered all questions and reviewed. I breezed through the exam and was confident that I knew the material. I like how thin the book is which alleviates the anxiety! I love how there are test strategies and practice questions. The nitty gritty of what we need as case managers to get to the meat of the exam! This is a great study guide. I’m a pediatric/NICU/High risk pregnancy nurse case manager for an insurance company. I didn’t know a lot about some of the adult topics such as workers comp and specifics of Medicare but this guide brought me up to speed. The practice test was especially helpful, each option is explained in the answer guide. I passed the certification test the first time. This study guide was very helpful. I liked the short and sweet points of interest. The practice exam was very accurate and the rationales (in the answer key) really helped me to understand exactly how to train my brain into test mode. I would recommend this study guide to anyone preparing to take the CCM exam. It was definitely worth the price. I love my new CCM study guide! It breaks down the terms where they can be easily understood, also the questions are thought provoking and makes you think! I haven’t taken the exam yet, however I feel confident that I will do well! All my Case Manager friends recommended this book and they all passed on the first try! I appreciate having this resource greatly. I have been a nurse working in the care management field for 5 years and found that I still have so much more to learn! Appreciate the condensed information. Your study guide is helping to prepare me for success at test time and in my career. I just took the CCM and passed it and credit this book for the information and resources it provided. It also has some bonus tips after the practice test that helped me realize that I needed to calm down and not be so stressed. Definitely worth the purchase.